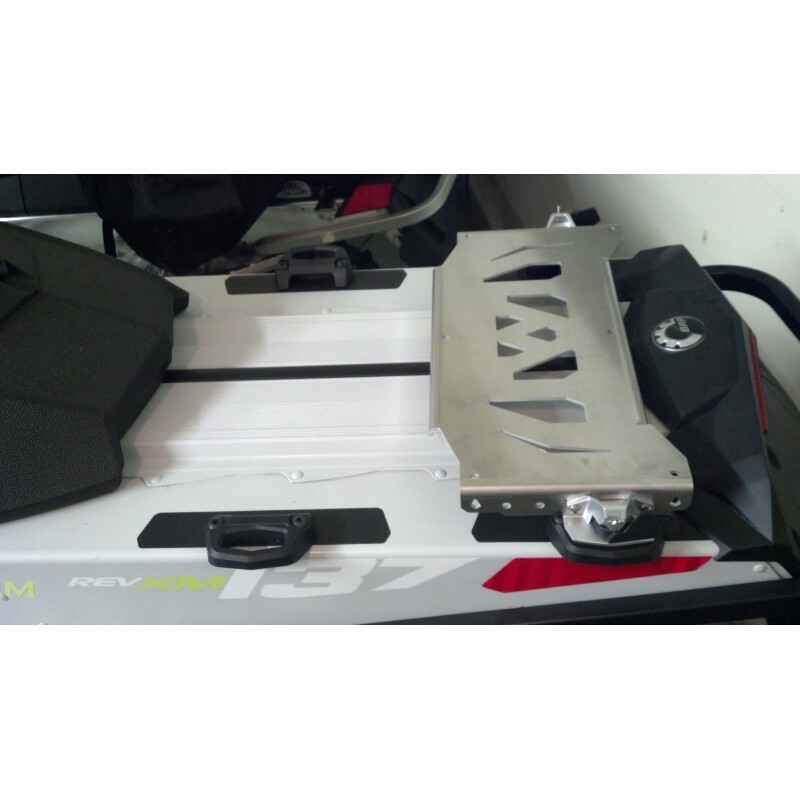 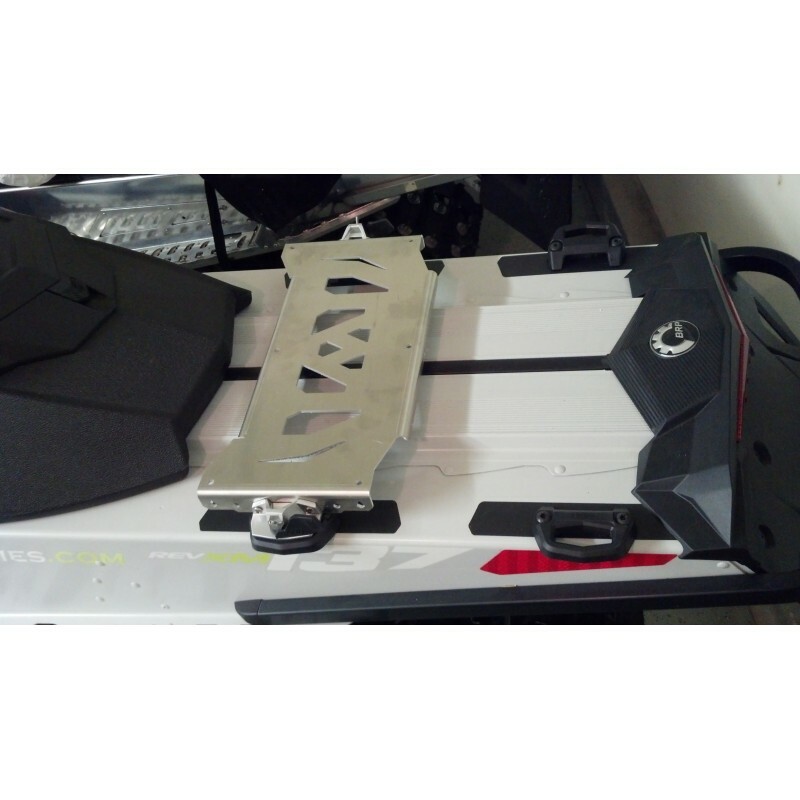 White Out Technologies' Cargo Rack integrates with BRP's LinQ™ accessory system allowing for custom attachments. 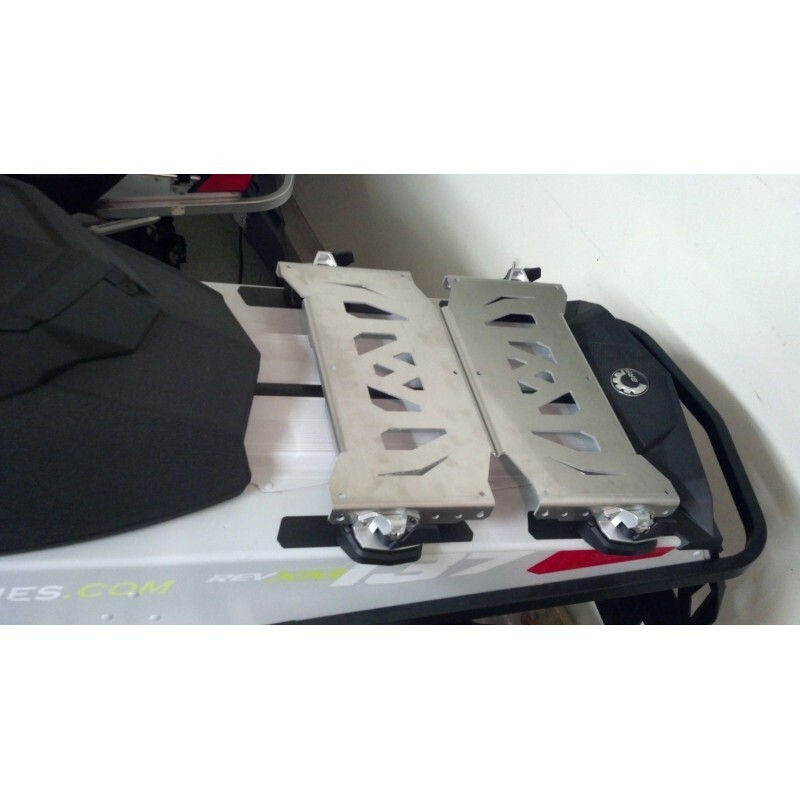 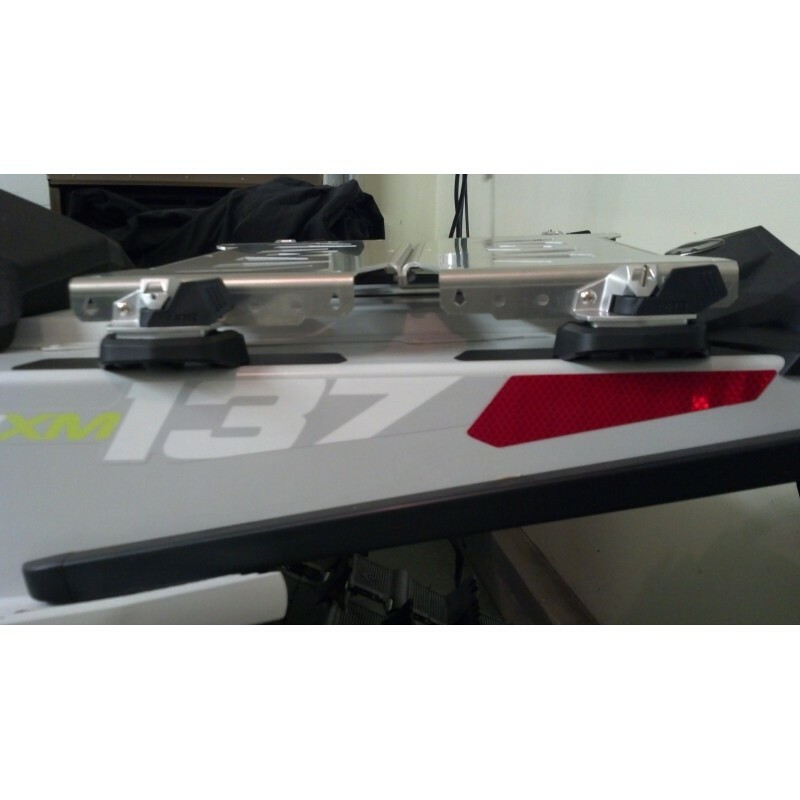 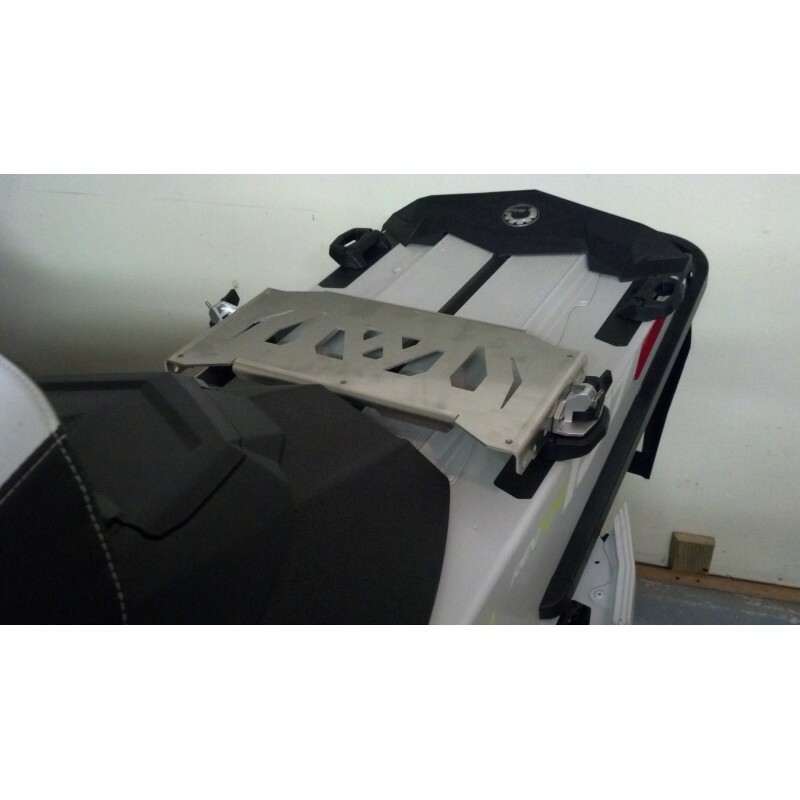 Our innovative Cargo Rack System that attaches to your sled using LinQ™ mounts. 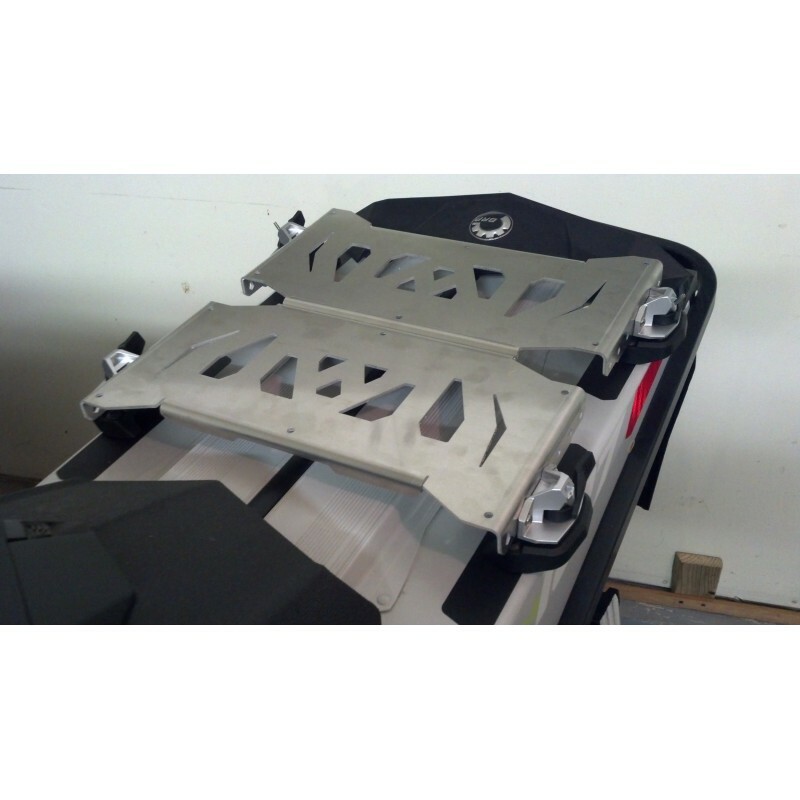 Multiple mounting positions allow for variable placement to suit each riders needs and also allows two Cargo Racks to be coupled together for one larger rack spanning all four LinQ™ base brackets. 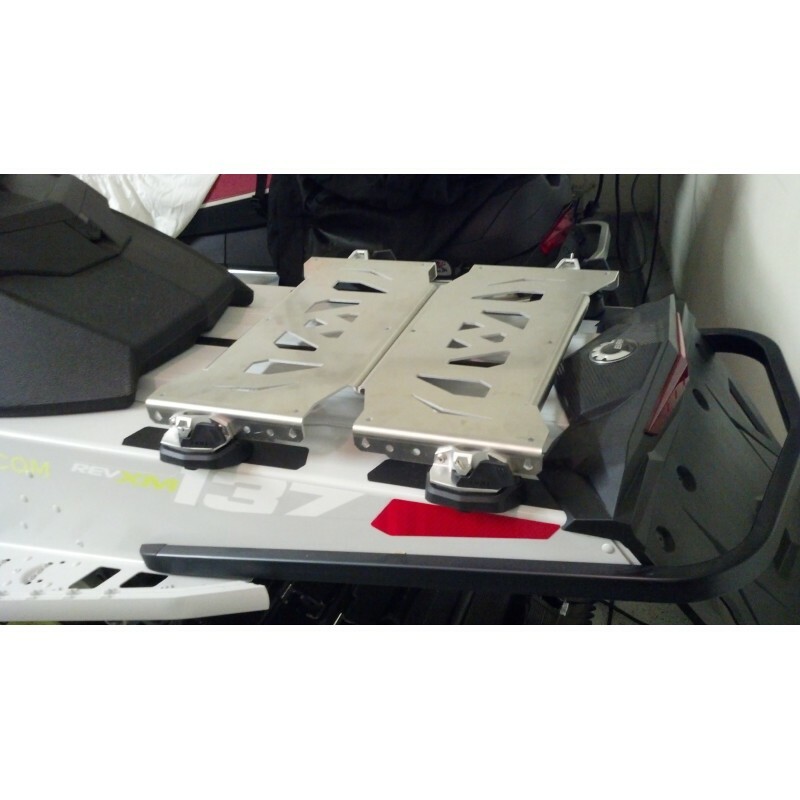 This system works on any sled with the LinQ™ base mount kit installed including 120 tunnels and can be retrofit on many other sled makes and models using our universal mounting brackets (optional). 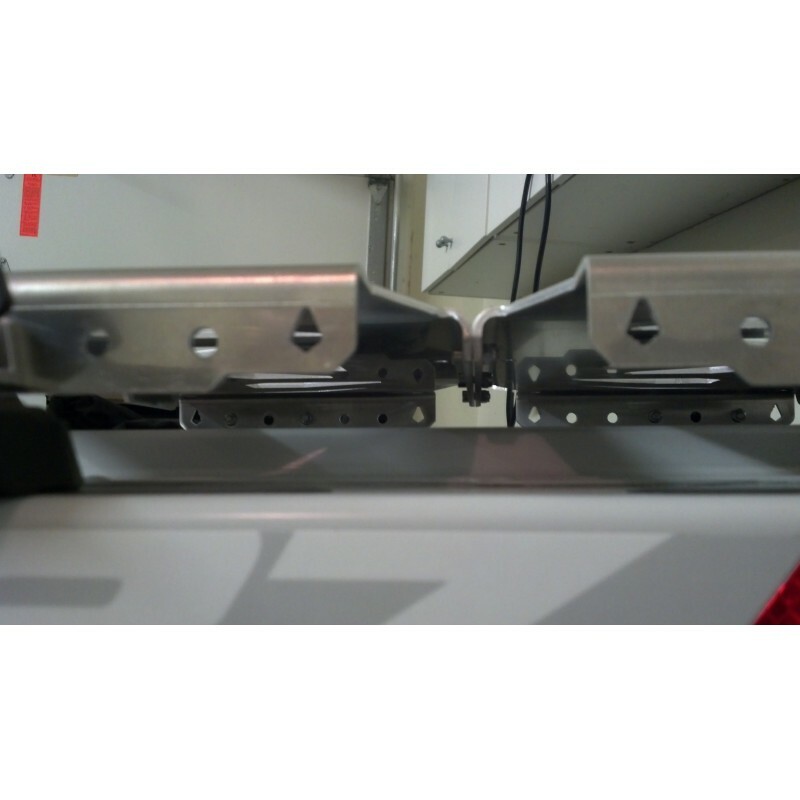 Now you don't have to drill holes in your tunnel for custom installations or decide between a rack system or LinQ™ accessories. 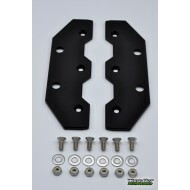 Simply attach the LinQ™ Attachment System (715-001-707) (sold separately) and the rack becomes a versatile accessory. 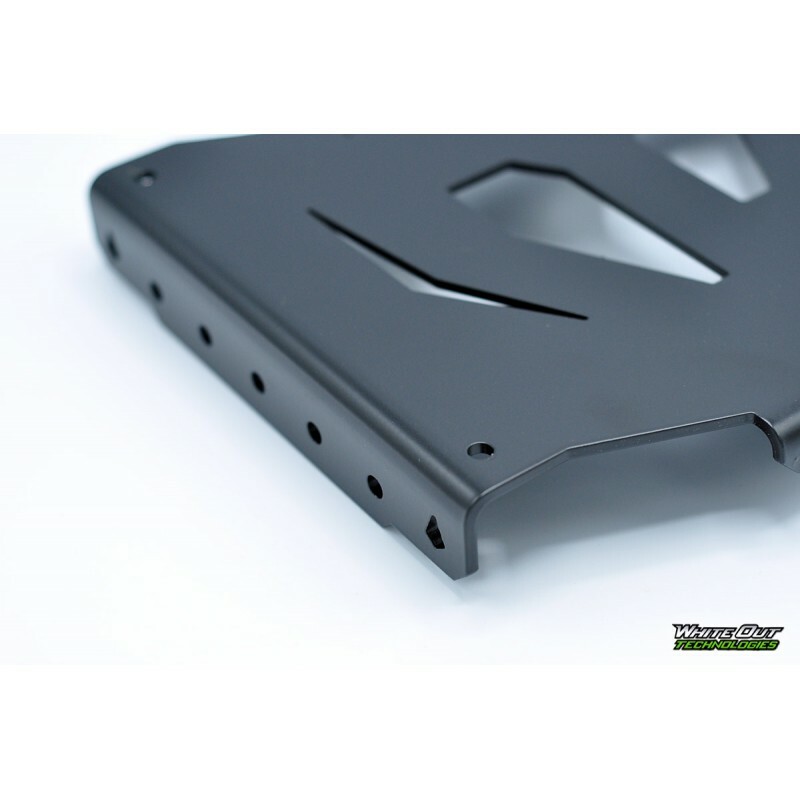 Don't compromise the paint on your tunnel anymore as a result of tunnel accessories rubbing. 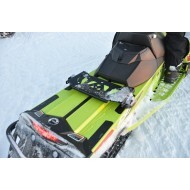 A gap between the Cargo Rack and tunnel protects the sled's paint and allows for better cooling. 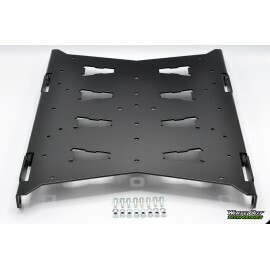 The rack conforms to a number of configurations and can even be used with other LinQ™ accessories. 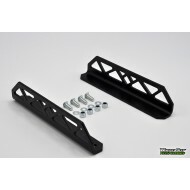 Optional Side Rails are available to help contain and secure your cargo and may be used independently as a standalone item on your tunnel if desired. 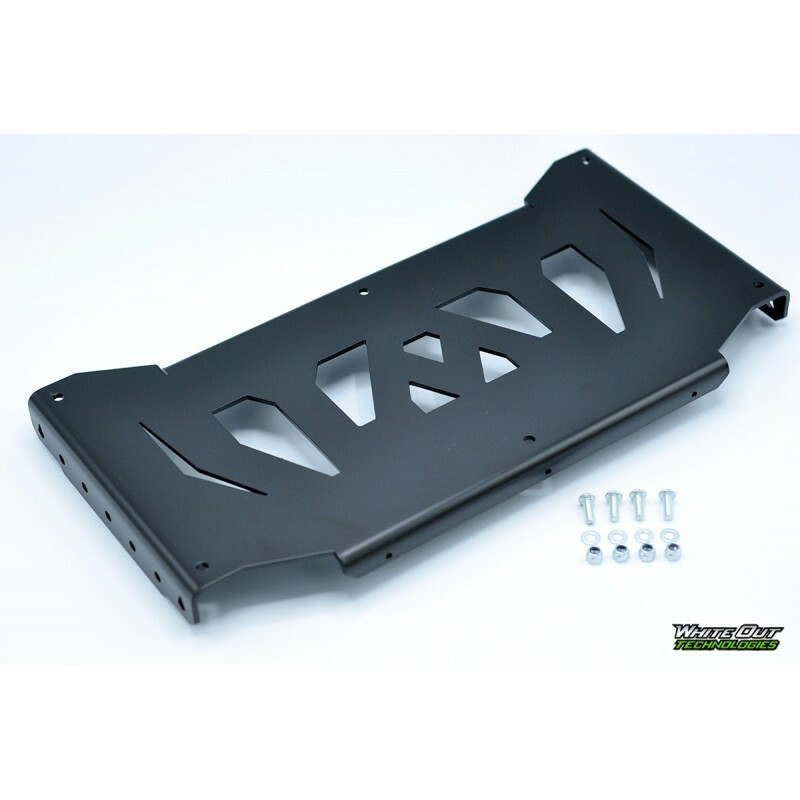 If you want to add a unique touch to your Cargo Rack, optional Backer Plates are available to finish the look! 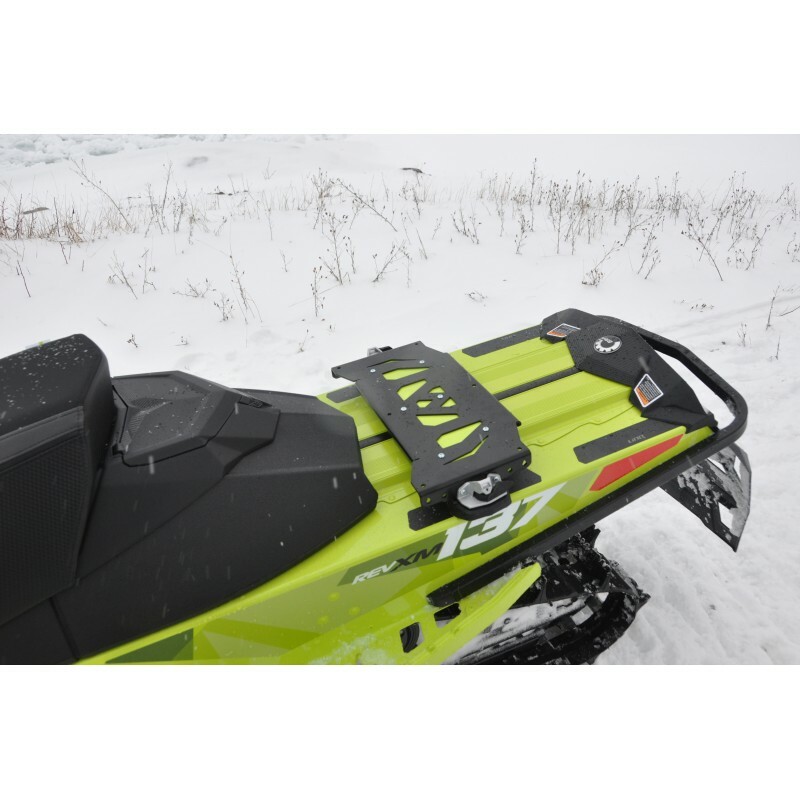 For those riders interested in a Cargo Rack but are not utilizing the LinQ™ system, we are also offering an optional Universal Mount for use on any sled make. 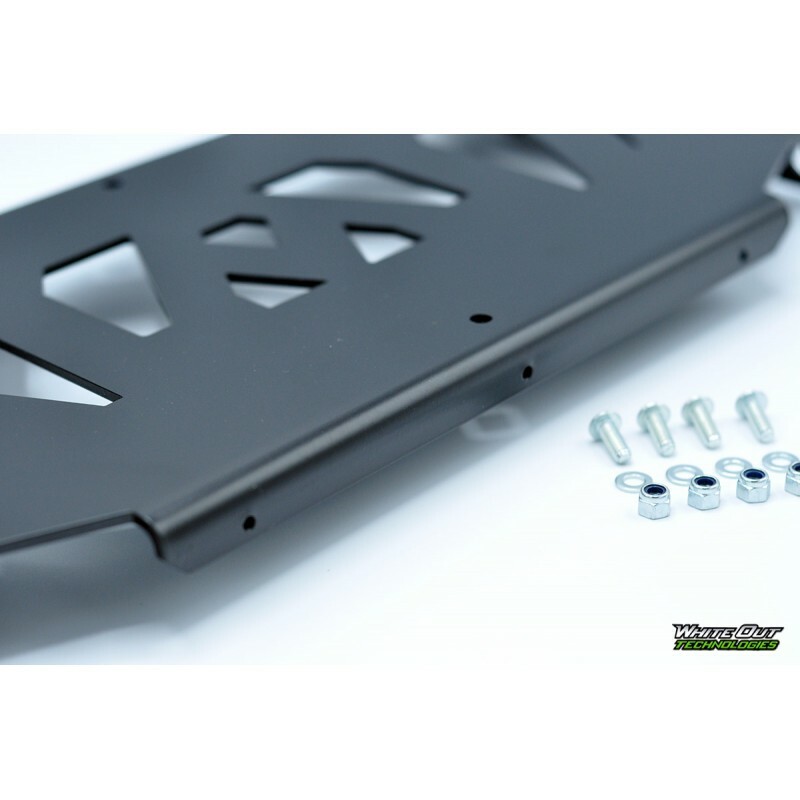 Each item is available in various powder coated colors as well as natural aluminum finish, available for your adding your own custom color. 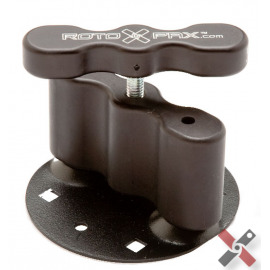 General mounting base for your innovations! 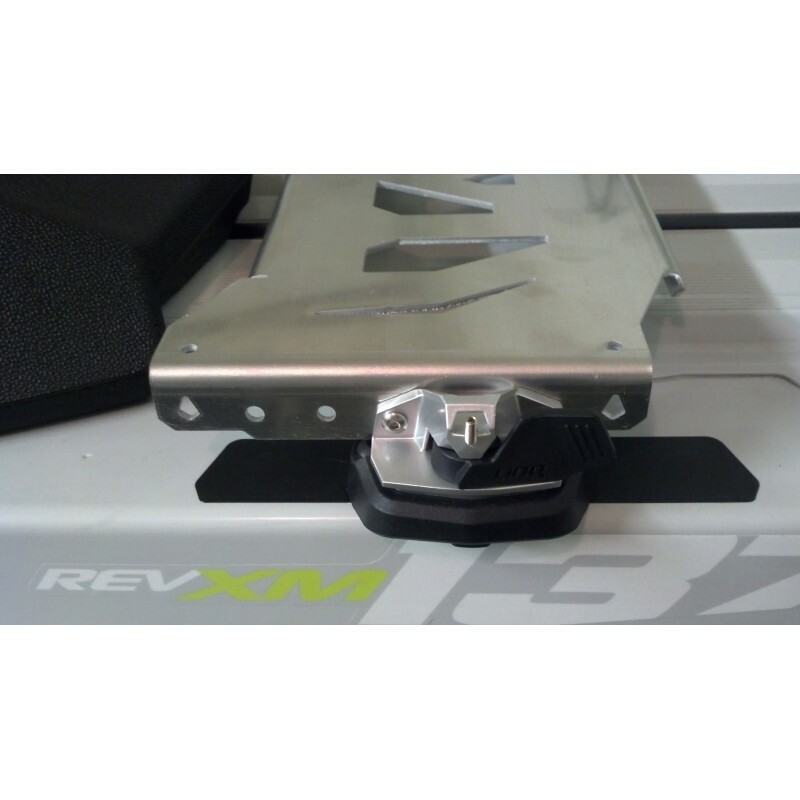 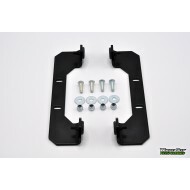 Mounting hardware for attaching our Cargo Rack to the LinQ™ latches (latches and base kits sold separately) included with the purchase of our Cargo Rack, Side Rails, Backer Plates and Universal Mounts. 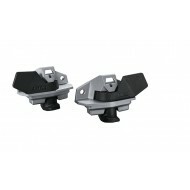 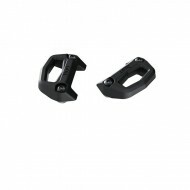 Note: LinQ™ latches and base kits sold separately and are available from us or your Ski-Doo dealer! 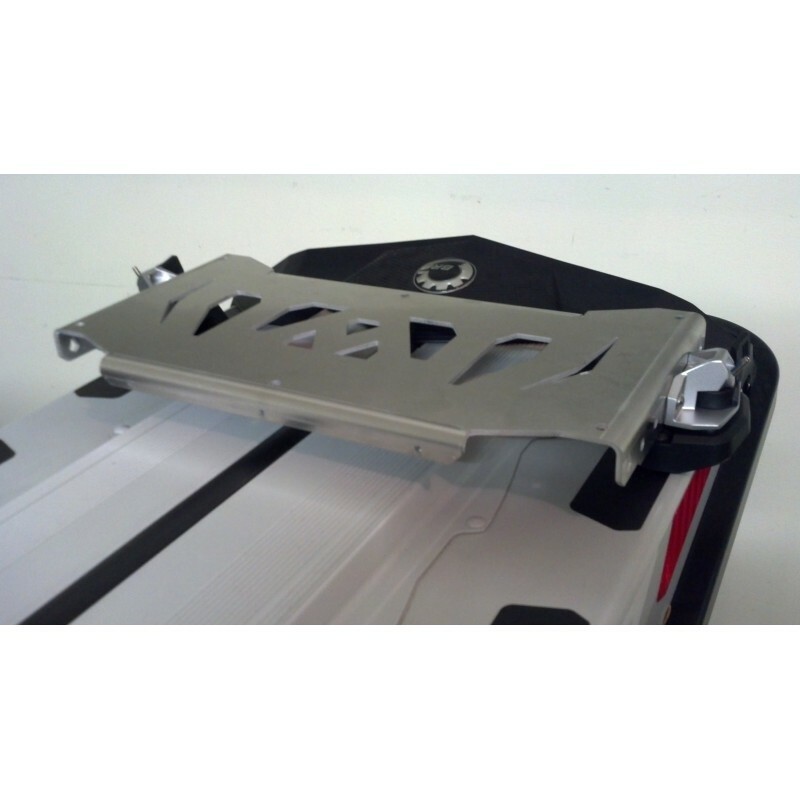 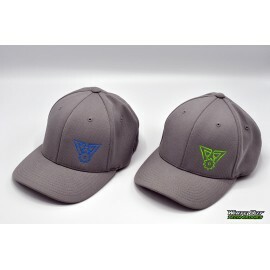 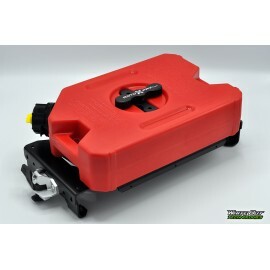 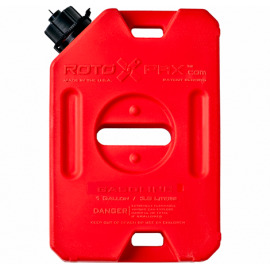 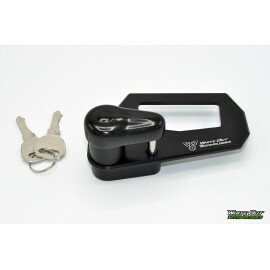 Designed and manufactured in the U.S.A. 1/8" aluminum.